I know you guys don't need me to tell you how The Outnet opened the flood gates of awesomeness a few weeks ago with their Stella McCartney collection. While many of the pieces are oh-so-tempting, I had my eye on the prize (aka the Spring 2011 beauty above) and luckily pounced before they sold out. 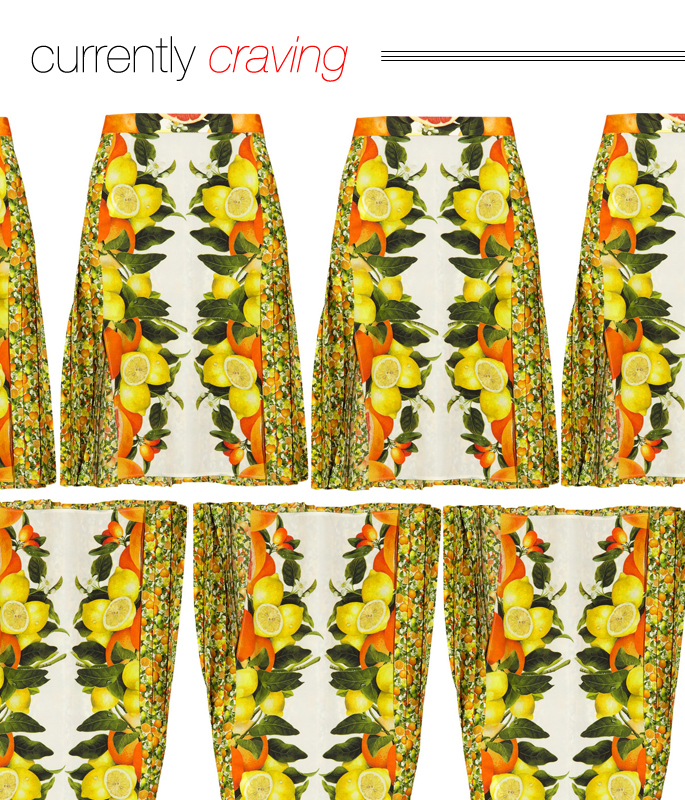 Oranges and lemons in skirt form? Oh, yes please! After all, a little Vitamin C goes a long way. And on that note, I hope you all have a wonderful, sun-filled weekend! I saw this on the man repeller the other day... it's such a gorgeous skirt! This print is to die for. Totally loving all things tropical and floral. Can't wait for summer! Can't wait to see how you style it. I think these skirts will forever remain in fashion histoiry as Stella's greatest moment. Gorgeous print. So summery and happy. Love this skirt! So fun for spring! love the skirt !!! The colours and the print are really gorgeous!!! This skirt screams spring!!! Wishing for warmer and sunny days!!! Here in NY, the forecast is looking good! I am still obsessed with this print! Oh I love it,this is such a beautiful print! Cute skirt! Love the colors! this is actually really cute! you have a great eye for style! also, since i am too lazy to go find that post, the outfit that was the chambray top and the pink suit was really cute! so fun! makes me want to travel somewhere tropical actually! Sorry, Krystal. But $500 for a skirt just isn't a steal. I know it's Stella, but I think I'll find more affordable alternatives with J. Crew. I don't usually look at prices or even sources of where bloggers get their clothes because I just go with what's in my closet, but holy heck, $505 for a skirt? When are you going to wear it for us? Can't wait to see how you pull it all together. A great snag, indeed! Can't wait to see how you style it! Have a great weekend!